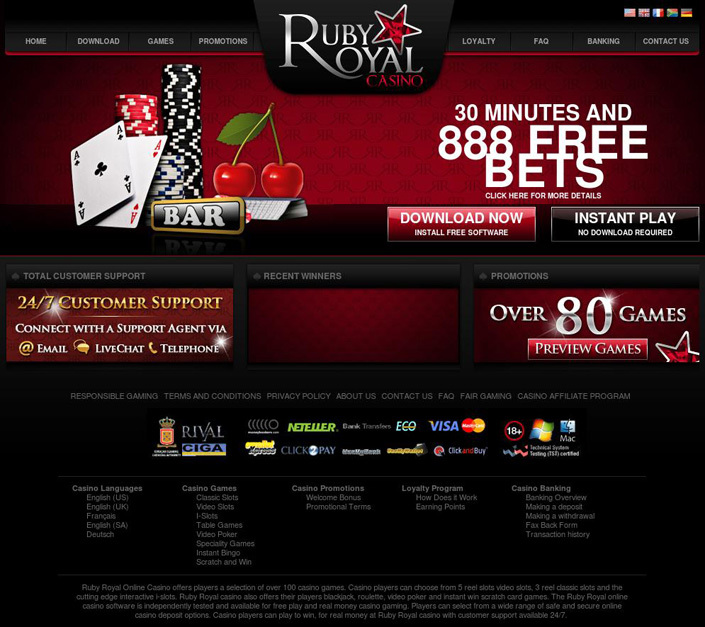 Sign up at Ruby Royal Casino on our site to be able use the promos and coupon codes listed below. Unbelievable NO DEPOSIT offer for new players. Get 30 minutes free play and 888 free bets! Select this bonus on cashier section. Cashout Time: E-wallets: 3 - 5 days, Bank Tranfers: 5 - 10 days. First and foremost, let’s talk about the games. There are around 140 Rival powered games to choose from—so you can already imagine that you are in for a treat! The classic table games like Blackjack and Poker are there, as well as the best slots too, alongside the infamous i-Slots brought to you only by Rival. There are great promotions on offer as well, which players can grab and use on the slots and tables. There’s a welcome bonus of up to 3,000 credits for the slots and i-Slots, as well as an amazing risk-free no deposit of 888 free bets for the slots and i-Slots too! There’s also free cash if player’s refer-a-friend as well as great weekly offers available as well. Banking options include the very quick, safe and easy Visa, MasterCard, Skrill, UnionPay and PaySafe. Currencies accepted include US Dollars, UK Pounds, Euros and South African Rands! And for those times where players need a little support or advice on anything relating to their accounts or anything else, there are great customer support options coming in the form of email addresses, toll free phone numbers and even a live chat feature. 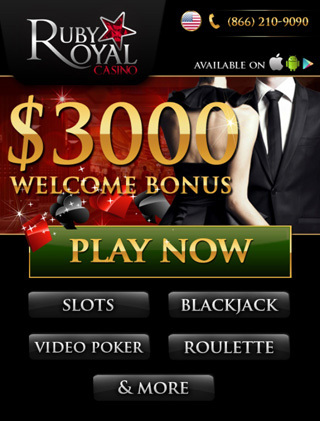 Ruby Royal Casino has supported play on mobile platform, you just hold your smartphone at the image area to get the direct link to Ruby Royal Casino on your mobile. Ruby Royal Casino is Closed, the players cannot review and/or play anymore!